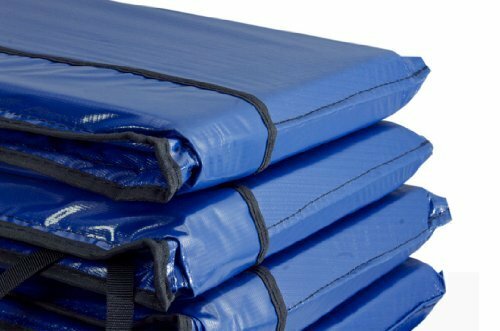 Fits 15' round trampolines, one-piece design for maximum protection. Doesn't have holes to accommodate enclosure poles. WEATHER RESISTANT - Resists all weather, UV damage, cracking, mold, and mildew. SAFE - ASTM Standard Safety Padding with 3/4 inch over rail thickness, 13 inches wide, and 4 inch skirt. Shipping from US warehouse, delivery within 3-7 working days, any problem just contact us, no worries about after-sales.